Great article and great truth! I am a pastoral counselor, associate pastor and also head up our local Celebrate Recovery and I am getting ready to start a step study for local pastors here (CPR-Celebrating Pastor’s in Recovery). Your article hits the nail right on the head. Thanks. Thanks for the wonderful words of encouragement. I learned years ago to embrace my brokenness and God’s grace. This is Terry Powell of Columbia International Univ. Thank you, Brandon, for a much needed and timely perspective on depression among Christian leaders. I, too, have fought depressive episodes all my adult life, but by God’s grace have maintained a long teaching & writing ministry. In Oct. 2017 I launched a new blog, penetratingthedarkness.com, just to deal with issues on faith & depression. The home page explains my purpose and direction, and has two brief blogs as older samples and a link to 30-minute chapel testimony (audio) I gave on depression in 2014. I have two chapters titled “The Blessing of Brokenness” in a book I wrote to encourage Christian workers – Serve Strong: Biblical Encouragement To Sustain God’s Servants. Also have brief illustration of Spurgeon in a different chapter. You may be aware of it, but I recently read a book published in 2014 titled Spurgeon’s Sorrows, by Zack Eswine, subtitled Realistic Help for Those Suffering From Depression. Goes into great detail on his despondency as well as his gout. I hope to review it soon on my own blog. Years ago Alan Nelson wrote a paperback I found helpful, Embracing Brokenness. For me at least, if offered more help than a similar book by Charles Stanley, though I have lots of respect for Stanley. Beautifully written and thank you for reassuring me it’s ok to be beautifully broken. God bless you. Thank you for sharing and by doing so helping leaders to own their brokenness. Your article helpfully shows how a Senior Church Leader’s encouragement to their staff members (and whole church family) to seek out counselling when needed ‘without fear or shame’ has enables people to grow and serve others out of their struggles. I see this so much through Celebrate Recovery; it’s very powerful in pointing people to their Lord and Saviour for hope, power, support and direction. Thank you so much for the authentic article on brokenness. I am a pastor of a Disciple Making church in Nepal. This article means a lot to me. 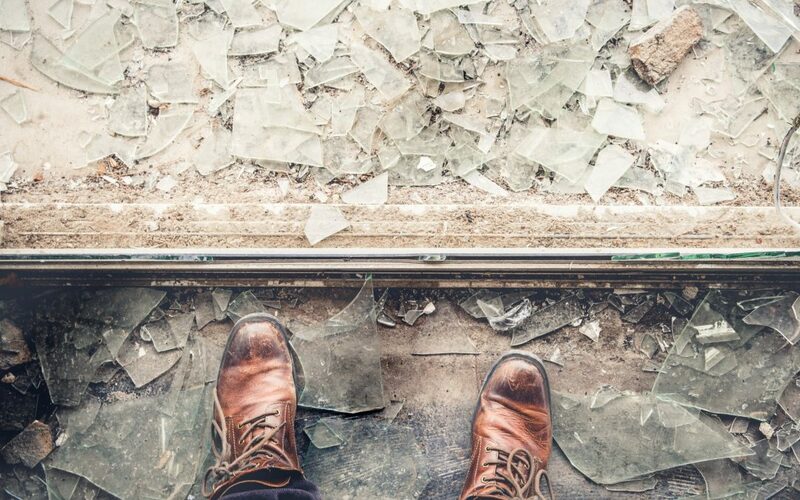 I am convinced again and again while reading this article that ‘God uses broken people’ more. A new insight to me from your article is this – people go to depression after the high success in life too. I had never thought that way before. May the Lord use you to reach out many with what God has done in your life. Amen-Amein Brother in Christ Jesus-Yeshua Brandon!! I have so much here I want to say, but struggle with. I am involved in a movement that sees God’s blessings the opposite of what this article does, for the most part. And no one, I am aware of no one in this movement who has been through the dark night of the soul. Though I find myself going through for some time now and feel so alone, so abandoned, so confused and it’s like God doesn’t really care. I have no one to turn to and talk to about which only adds to the issues. I am not in ministry at this point, have been and believe He is taking me back that way. Just, man it’s taking so long and the pain I am struggling with makes it worse along with the fact of financial issues and struggling to find a positon to provide. And am sure the enemy is whispering in my ear all the negative things. Just wish God would move me on through this Wall, open a door and go from there!!! I understand what Tozer wrote, but you wonder how much more does He have to “hurt” me before He moves me on?!?!? Great! Our challenges often re-invigorates us.